I LOVE California Earthquakes… all except for that gut-wrenching panic fight-or-flight instinct that kicks in after the first 5-10 seconds. Mind you, most EQ’s here don’t last all that long; a bump, a jog, a shift. Heck, when the washer would kick in the spin cycle, in my mom & dad’s fancy travel RV shaking the trailer, I’d have an automatic panic reaction thinking we were having an earthquake… then I’d realize what was going on. Perhaps that has de-sensitized me a bit. 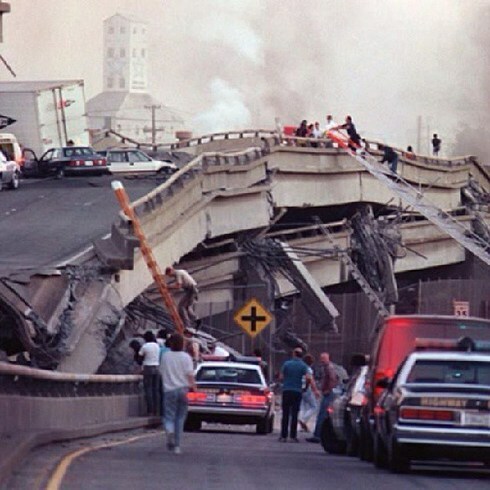 That and having experienced the ’89 SF EQ in which part of a double decker freeway & a segment of the Bay Bridge collapsed. 36 seconds of undulating concrete walls and rippling pillars in the hospital dungeon where I was working (in the basement L&D unit). As bad as it was, we just had some cracks in the wall, some supply carts that dumped their goods. My husband, a patient in the hospital, went for a ride in his hospital bed as it rolled back & forth, post surgery. We were only 25 miles away from where some of the major collapses occurred, a 6.9 EQ (officially known as the Loma Prieta EQ). Basically, very minor damage. OTOH, after that experience, when I went back to college as an older adult to update myself, first thing I took was a class on Earthquakes & Volcanoes. Being a transplant from Texas which deals with floods, droughts, dust storms, and hurricanes; I figured a better handle on more likely california disasters would be useful. Us nurse types like to be prepared! Here is a question for you. Where has the most serious earthquakes occurred in the USA? We all know that California sits on the ring of fire; that circle of tectonic plates than encircle the Pacific ocean, where the dense ocean plates go under the lighter contential plates. The EQ in Japan occurred on the other side of that circle, from us. It’s where the majority of earthquakes occur. (Did I mention, it was a fascinating class that I took!) I’m such an oldie but goodie, that plate tectonic theory was just becoming respectable science in the late 60’s when I was in high school. So the west coast gets a fair number of eq’s (actually I bet you would be surprised at how MANY. Most too light to be felt). Back to my question… In the contential USA, WHERE have the strongest EQ’s occurred (at least that we know of in current history, say 1800)? line, the San Andreas Fault… It was felt up to southern Oregon, down to LA, over to Nevada. If you look at a map… a total of 700 miles of which 300 actually ruptured. People felt it, but no real damage outside of 75 miles from the epicenter. Most of it centered in the SF-Bay Area. Would you have guessed along the Mississippi River? New Madrid, Missouri to be exact. 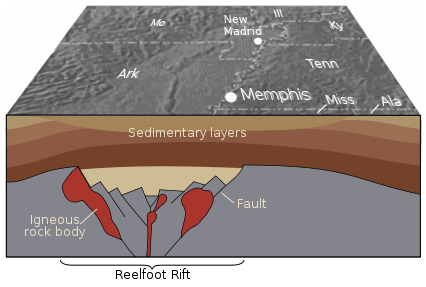 Actually, at the corners of 4 states intersecting: Kentucky, Missouri, Tennessee, and Arkansas, the Reelfoot Fault Zone. In the middle of the USA, where there are NO tectonic plates! Three Earthquakes in 3 months, estimates range from 7.3-8.2 depending on the source… but most significantly, there were TEN greater than 6.0, in less than 3 months. Four of those occurred over the span of two days, December 16 &17, 1811. There were a hundred eq’s between 5 & 5.9, as well. It must have seemed as if the world was ending to those folks. The good part, it was still lightly populated. Today? try 15 million people in a similar effected area. Reports of massive land, river, & lake disruptions occurred. Boats were swamped by the waves triggered with some being beached high on shorelines. Geysers of water shots 10’s of feet in the air. 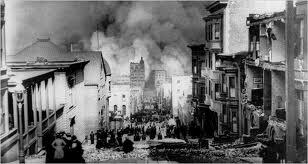 They were felt in an area 10 times larger than the 1906 SF earthquake, all the way to the East Coast (Boston where a bell rung from the shaking that was triggered). WHY THE DIFFERENCE? despite the similarities in size of the earthquakes (7.5+) ~ the area effected and the frequency are totally different: the midwest compared to California. The land structure makeup is dramatically different. California it turns out it made up of different rock structures that vary dramatically within very short distances (some as little as a few miles). The land mass is made up of disparate components. The net effect is that energy waves in the soil/land dampen down quickly. Thus I can be just 25 miles away from a significantly damaging EQ, and have NO damage at all. What if the epicenter was located in Berkeley or San Francisco (50 to 75 miles away), or further south. That meant, if we felt it as much as we did, then it could be really, really bad (think Japan & a 9.0). I grabbed my trusty iPhone, huddled in bed, and searched for info. 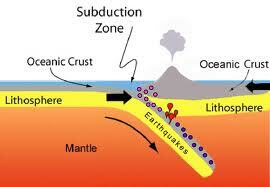 The reality is that our area around Napa Valley is a geologic hot spot. We have geothermal energy plants related to the hot geysers, hot springs, etc. Mt St Helena, at the head of Napa Valley, is an old extinct volcano (last eruption 1.3 million years ago), left over from the ocean plate sub-ducting under the california continental plate (North American Plate). Roughly 30-50 miles inland is where the ocean plate dives down so deep that it is hot enough to melt. Vents percolate up to the surface creating volcanoes and hot water (geysers). We get micro (1.0-2.5) earthquakes ALL the time (as in almost everyday). As the plates meltdown they move, thus we get micro quakes… but much to small to be felt. The geologic land makeup from the Rockies to the East Coast, is fairly similar… it is the continental plate. Except that approx 180 million years ago the continent tried to pull apart in the middle (roughly Mississippi River) but ‘something’ blocked that process eventually. The land mass is relatively similar so energy waves moved through the landmass fairly easily. At least in comparison to California. So the same size earthquake will be felt much, much further away (and the damage will occur a greater distances as well). For the Europeans arriving in the Mid-West, the land didn’t have earthquakes. The series of New Madrid EQ’s came as quite a shock. It “rocked” their world for sure (pun intended). It really wasn’t until the oil drilling era that they learned the reality was quite different. With the development of technology to search for oil, they discovered that the midwest has micro earthquakes all the time.. It’s just that they tend to be much deeper, thus rarely ever felt unless there is a major shift. Now they estimate that major earthquakes have occurred every 900 – 4,500 years. EAST COAST earthquakes, interestingly, have a totally different cause. They aren’t a result of plate tectonics but are the result of the land rebounding from the weight of the glaciers that melted roughly 12,000 years ago (give or take a few years). Who would of ever thought that geology could be so interesting!